Since today is Veteran’s Day I’m going to post a photo of a panel near Moab that I visited last year on the same holiday. The Intestine Man Panel is a tough one to get a good photograph of, but it’s also a very unique and amazing panel that contains a lot of fine detail. 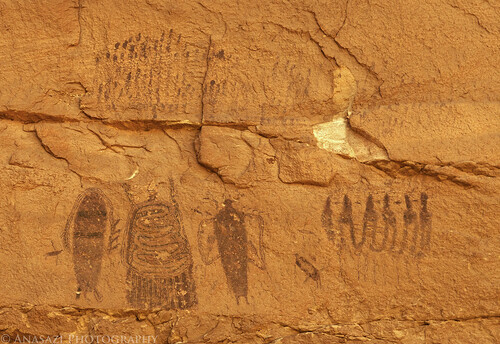 If you look very closely you can find many small birds that are painted at this site, besides all of the intricate details found within the Intestine Man figure.